I know you all have been wondering what we did with the first of our hydroponic lettuce. I'm sure the curiosity has been eating at you! 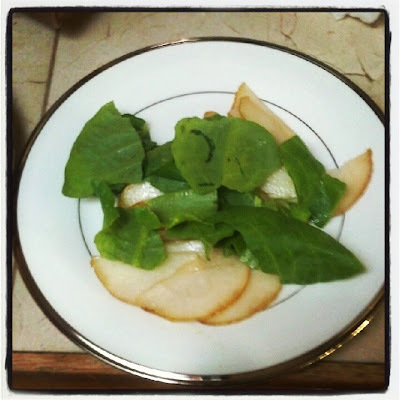 We didn't have a lot, but I did want everyone to have a taste - so I made a salad that featured fresh, tasty pears, with our tender lettuce adding a crispy sweet flavor to the top. 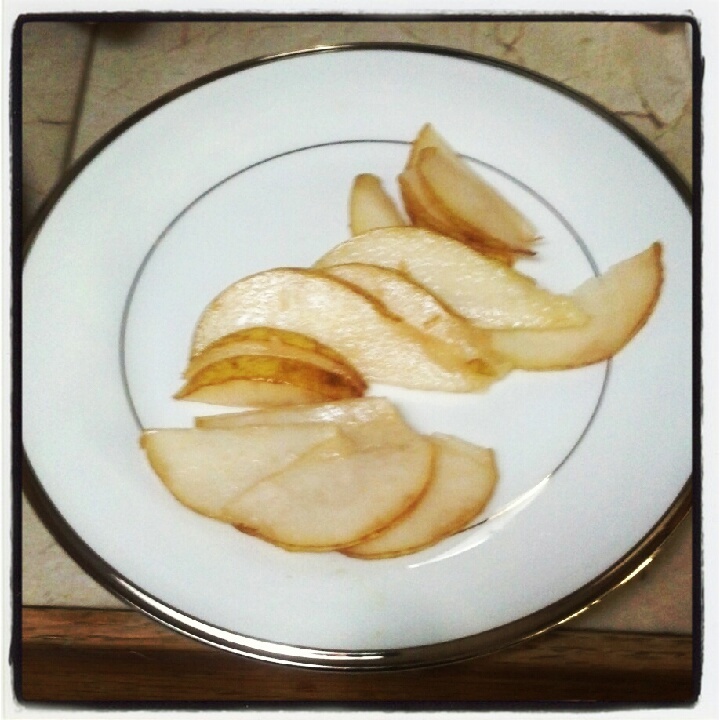 Divide the pears onto 4 chilled plates. Lay two slices of the cheese over each salad. In a small bowl combine the lemon juice, rice vinegar, and olive oil. Whisk together and season with salt and fresh ground black pepper to taste. Drizzle half over the salads and serve the rest on the side. This was a lovely start to our dinner. 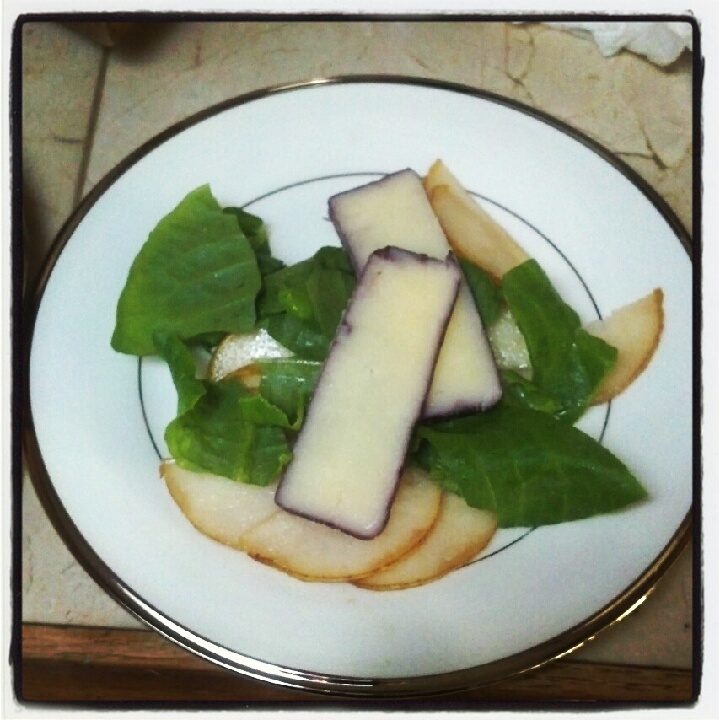 The cheddar was a great surprise flavor as well as adding a bright purple line of color to the salad. And our lettuce was the star of the show! Not everyone enjoys fruit in their salads - do you? Cabernet soaked cheddar sounds delicious. I'll have to keep an eye out for that where I live. I've seen port cheese but that is it so far.